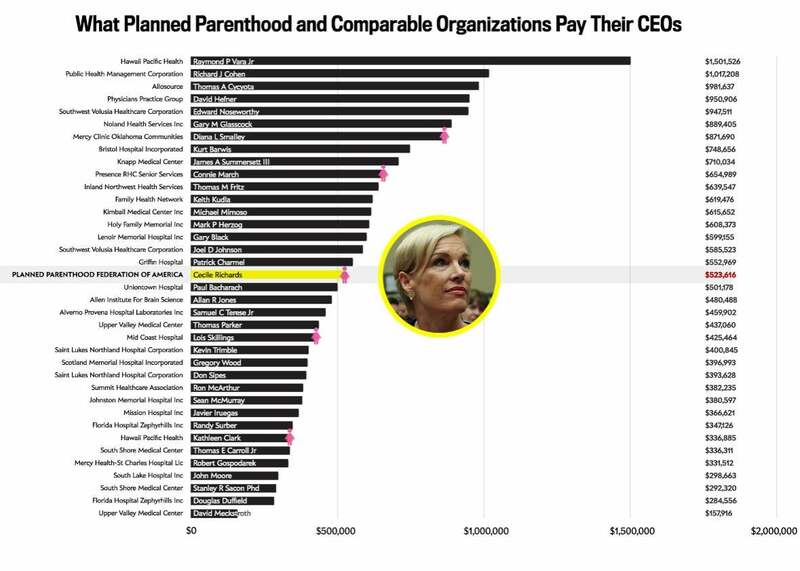 Planned Parenthood's Cecile Richards makes an average salary compared to her peers. 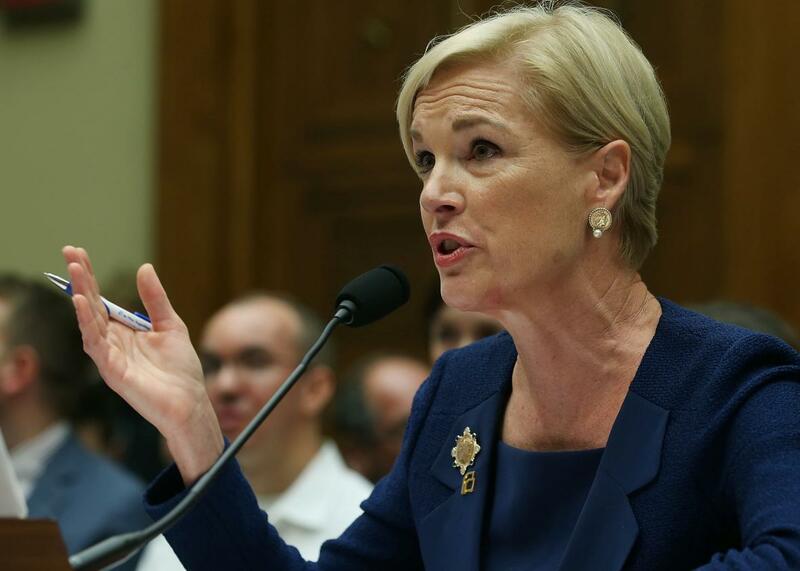 Cecile Richards, she of average CEO income, testifies before the House Committee on Oversight and Government Reform. New York Democratic Rep. Carolyn Maloney came to Richards’ defense: “The entire time I’ve been in Congress I’ve never seen a witness beaten up and questioned about their salary,” she said. What’s more, a quick look at Richards’ peers puts her salary in perspective: As far as income goes, she’s just about average among her peers. With an annual take of $524,000, Richards ranks 19th among 38 heads of health care nonprofits with revenue comparable to Planned Parenthood’s. Correction, Oct. 1, 2015: This post originally misstated that all but one of comparable CEOs who make a higher salary than Cecile Richards are men; it is all but two. Correction, Oct. 5, 2015: This chart originally listed Centegra Health System’s Michael S. Eesley as the top-earning CEO; Eesley should not have made the list, as Centegra’s revenue is far greater than the other organizations listed.